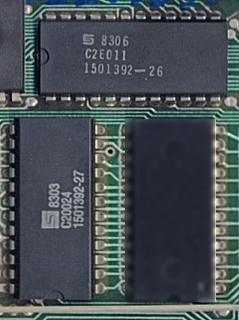 The TI99 contains two 4k ROM chips. One is the even byte chip, and the other the odd byte chip. Summed together they perform 16-bit access to the CPU.